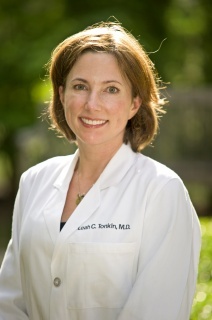 Following undergraduate work at the University of Memphis, Dr. Tonkin received her M.D. and residency training from the University of Tennessee College of Medicine in Memphis. Dr. Tonkin is a fellow of the American College of Obstetrics and Gynecology, and a member of the American Medical Association. She also serves as clinical faculty for the University of Tennessee, Memphis. Her specialties include general obstetrics and gynecology; adolescent gynecology; vaginal revitalization with the MonaLisa Laser; high-risk obstetrics; and minimally invasive surgery including laparoscopy, hysteroscopy and robotic-assisted procedures. When not spending time with her two daughters, Dr. Tonkin enjoys health and fitness, reading, cooking, and photography.